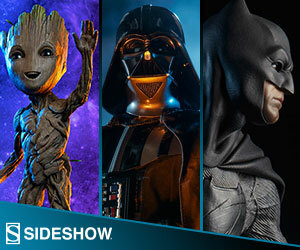 This year for the second day of G33KMAs Entertainment Earth brought to me.. Some incredible good deals on toys. Here are just a few from their sale. From the Justice League movie comes this Superman MAFEX action figure! 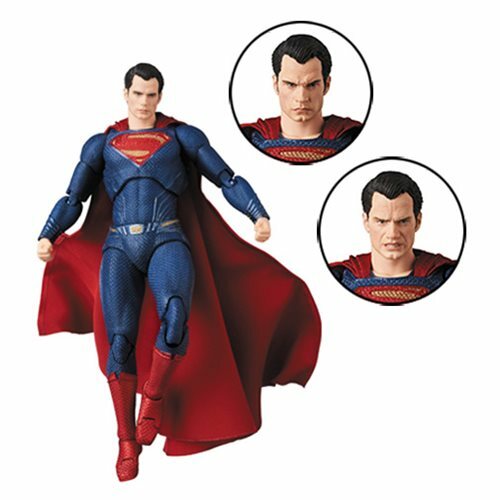 The Superman MAFEX action figure includes two head sculpts and a movable action figure stand is also included! The figure stands about 6 1/3-inches tall. Superman’s distinctive suit is faithfully reproduced. The Batman MAFEX figure has special joint parts to allow a variety of action poses. Ages 15 and up. Take flight with this awesome vehicle and exclusive action figure! 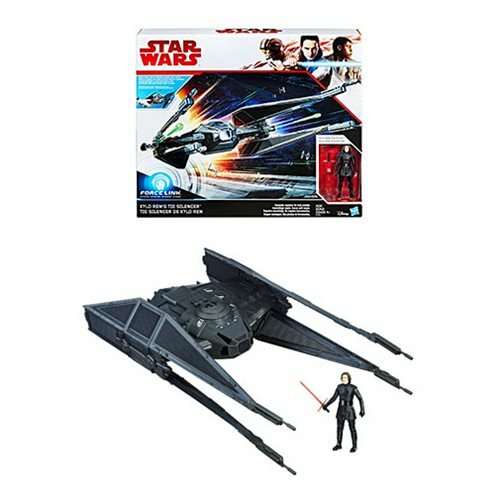 The Star Wars: The Last Jedi Kylo Ren’s TIE Silencer Vehicle with Kylo Ren Action Figure features two firing rockets and a 3 3/4-inch scale Kylo Ren action figure with lightsaber. Vehicle can interact with the Force Link band (sold separately) to make cool noises straight from the films – and light up too! Vehicle measures 19-inches long when fully assembled. Is Deadpool a samurai? A Japanese take on the Merc with a Mouth superhero from the Marvel Universe. This Deadpool figure is envisioned by the legendary artist, Takayuki Takeya, an expert on transforming popular characters into samurai and ninja. 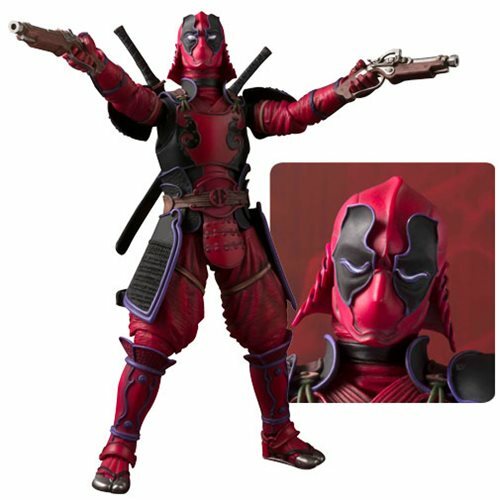 The Marvel Deadpool Meisho Movie Realization Action Figure includes 2x pairs of hands, a pair of swords, a pair of guns, 3x eye options, and 2x gun holsters. Measures about 7 1/10-inches tall. Ages 15 and up. Each action figure includes awesome accessories, holsters, and thrilling features! Add some awesome to your collection! 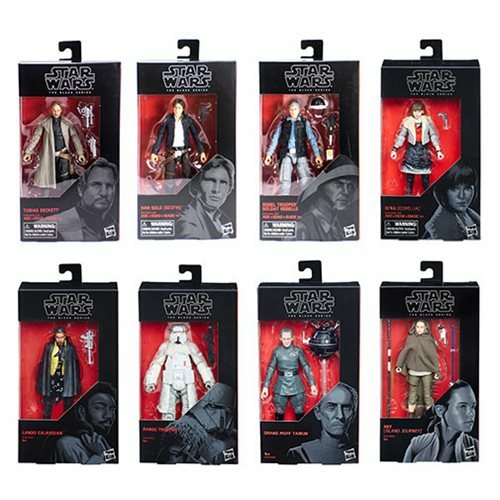 Bring the next big thing in Star Wars home with the Star Wars: The Black Series 6-Inch Action Figures. These out-of-this-world 6-inch figures were developed in conjunction with Lucasfilm, Hasbro, and Gentle Giant to bring you the highest level of detail and authenticity at a price that can’t be beat. Each includes awesome accessories, holsters, and thrilling features. Collect them all, and start your collection right here! Ages 4 and up.